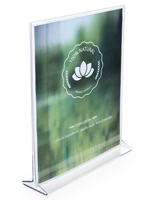 This Picture Frame is Great for any Counter, Tabletop or Desk! 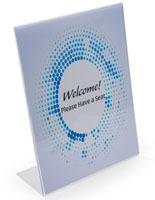 More Plastic Photo Frames are Available Online and Ready to Ship Today! 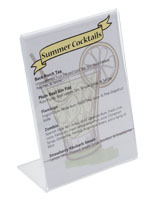 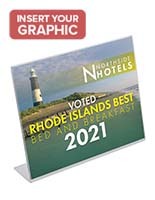 Picture Frame in Angled Acrylic, 8-1/2" x 11"
This clear acrylic picture frame is easy to use, and a great way to display restaurant menus, store newsletters, and more! 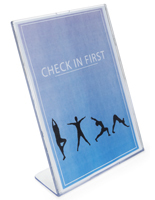 Personalize your picture frames with text or a company logo to add extra appeal! 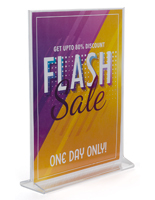 This picture frame is our top providing countertop unit...perfect as a countertop sign display or as restaurant/hotel entrance location sign stand. 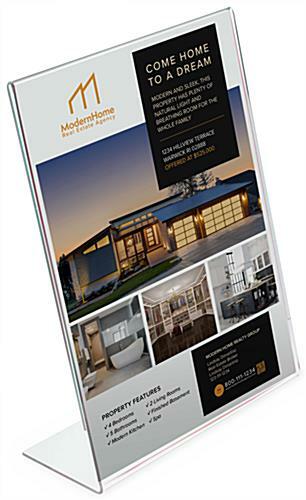 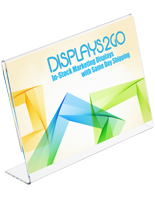 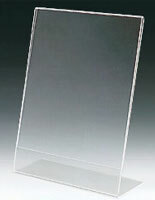 Polished edge display frame with total dimensions: 8-1/2" w x 11" h with 3" back base. 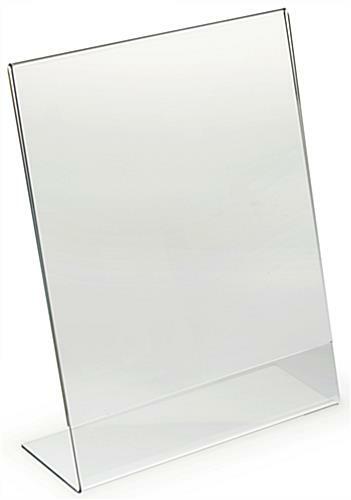 Accommodates a standard sheet of paper. 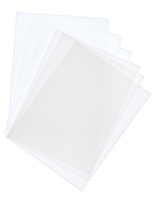 Slide paper in from the sides for fast changes.